Genealogy Gems Facebook Fan Heather Wilkinson Rojo’s letter dated May 11, 1887 written by her first cousin 4 times removed John Owen Dominis was featured. What a fascinating story that turned out to be. The Live podcast is coming soon! Read the Family Curator blog where Denise Levenick did a nice write up of the Live Genealogy Gems Podcast. Ruby Coleman’s review of my book The Genealogist’s Google Toolbox at her Genealogy Lines Blog. Thanks Ruby! UKTV has signed a deal with Brightsolid, the company that owns Find My Past and Genes Reunited, to launch a new 10-part one-hour series called Find My Past. Each week the show will use the findmypast.co.uk website to focus on a famous moment – such as Dunkirk or the Jack the Ripper attacks – to connect "three seemingly unrelated members of the public." “I just wanted to thank you for your genealogy gems pod cast. I discovered it recently and downloaded all the episodes so I can listen to them on my commute to work on the train. It is the best ½ hour, each way, of my day and this morning I had to drive to work and really missed listening to you! Only 2 weekends ago I had an email from a cousin in California I knew nothing about, and she was able to give me some clues that meant I was able to find my (I should say our) family in Ireland. I think that making that connection has been the most fantastic thing about researching my family history so far. My mum always said we had family in the US, but I never knew who they were. Now I have a cousin there. How fantastic! “Almost everyone I have contacted has chosen not to respond – either their email bounces or there’s just silence. This ‘silence’ is so prevalent in my genealogical inquiries (historical societies, message boards, surname websites, etc) that I have to wonder if genealogy is a collaborative sport at all. - I want members to populate their public trees with accurate info (tall order, I know). - If they’re using Ancestry as a whiteboard, then make it a private tree. 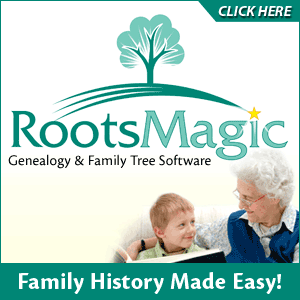 - I don’t want Ancestry deciding what’s correct info and what isn’t. - And I would like the courtesy of a reply when I attempt to make contact or to correct wrong information. Thanks, Lisa, for providing tips and techniques to the genealogical podcast community – keep up the good work!" Marilyn also wrote in with a common question of folks new to family history about Ancestry and Family Tree Maker. Outline: Start with a hypothesis providing a focused theme and starting point. Including and excluding info. John carefully selected his chapter titles because they are what guided him in his writing. Talking: Having a talkative family is helpful, but even if your family is low-key, strive to help them feel comfortable to share. 1) When in your life was it most difficult for you to be true to yourself? 2) Was there any particular group or role model that had a particularly important influence on your life? 3) When in your life did you most feel connected to something larger than yourself? If you decided to buy a copy of this compelling book, I sure appreciate it if you do so through by clicking this Barnes & Noble image to get to their website to make your purchase.